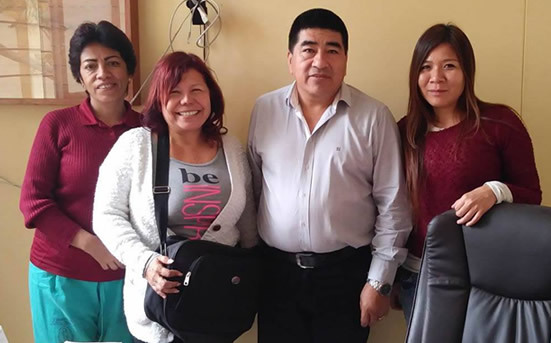 The foundation provided medical aid and coordination focused on comprehensive medical campaign free of charge on the 15th and 16th of July in the hamlets Cumbibira Sur, Cumbibira Center, Cumbibira Norte and Buenos Aires with the manager. Clas Catacaos Health center also provided medical personnel. We coordinated with the Dean of the National University of Piura Faculty of Human Medicine who provided volunteer students to assist with medical triage. Likewise, the Fundation Lazos de Ayuda in coordination with Dr. Ruth Marañón Barraza from Professional School of Stomatology of the Faculty of Human Medicine of the university Alas Peruvians of Piura worked and collaborated with dental medical personnel. We also coordinated with Ms. Lourdes Cavero, director of the CETPRO "JOSE CAYETANO HEREDIA"-the staff who provided young students of the CETPRO with haircut service. The logistics and organization of the medical campaign was carried out by Fundation Lazos de Ayuda. The foundation donated all the medicines and supplies provided free transportation. Making a love bond all together we made it possible to reach the goals of this health campaign supporting the population in need, mostly children.